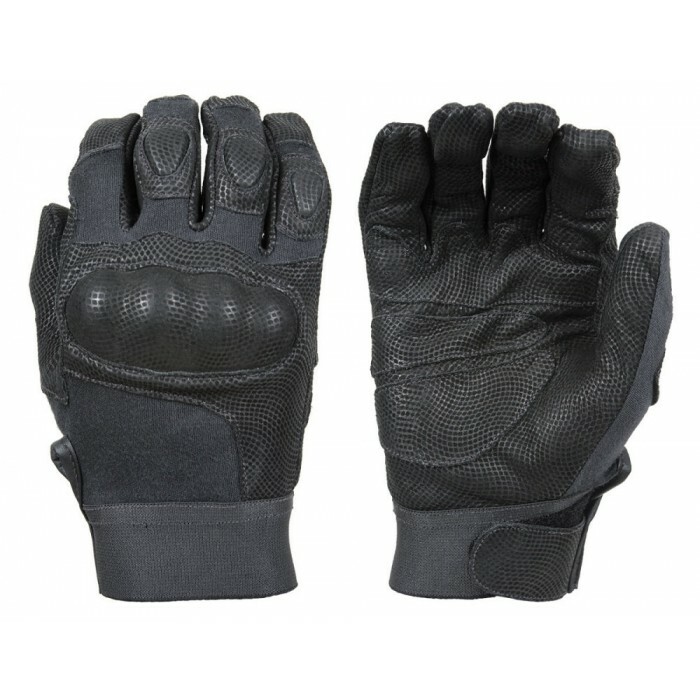 The Damascus® DMZ33 Nitro™ gloves have been developed primarily for military operations and SWAT maneuvers. Created by Damascus Gear™, leaders in full body protective gear for law enforcement, military, and beyond. 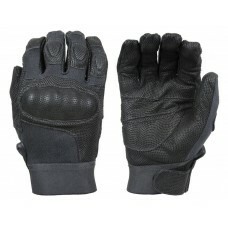 The Damascus® DMZ33 Nitro™ gloves have been developed primarily for military operations and SWAT maneuvers. 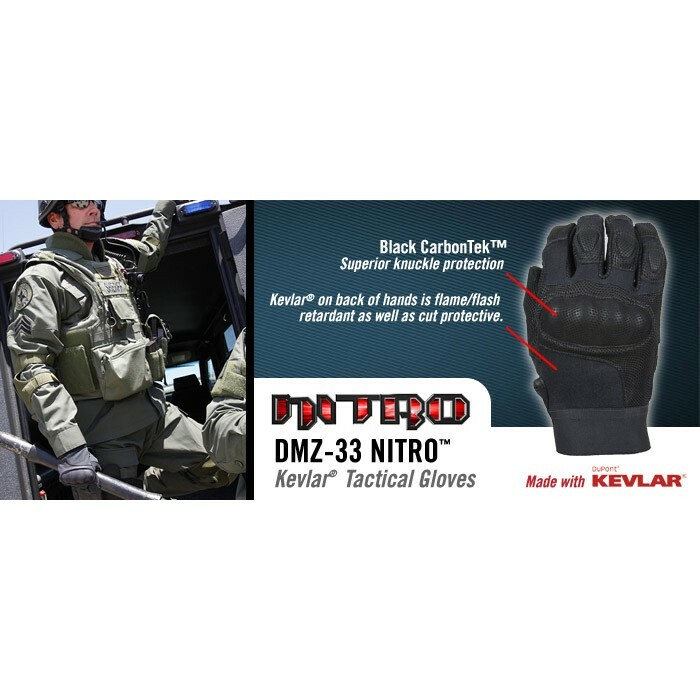 These premium protective gloves offer impact and abrasion resistance without compromising tactical sensitivity or weapon control in combat. They feature reinforced digital print premium quality aniline finished cowhide palms and trim areas, as well as impact resistant hard shell Carbon-Tek™ knuckles. Both cut resistance and flame resistance are provided from the DuPont® Kevlar® weave fabric on the backs of hands and fingers. The Nitro® gloves are also ergonomically constructed and extremely comfortable in the knuckle areas while flexing or creating a fist. 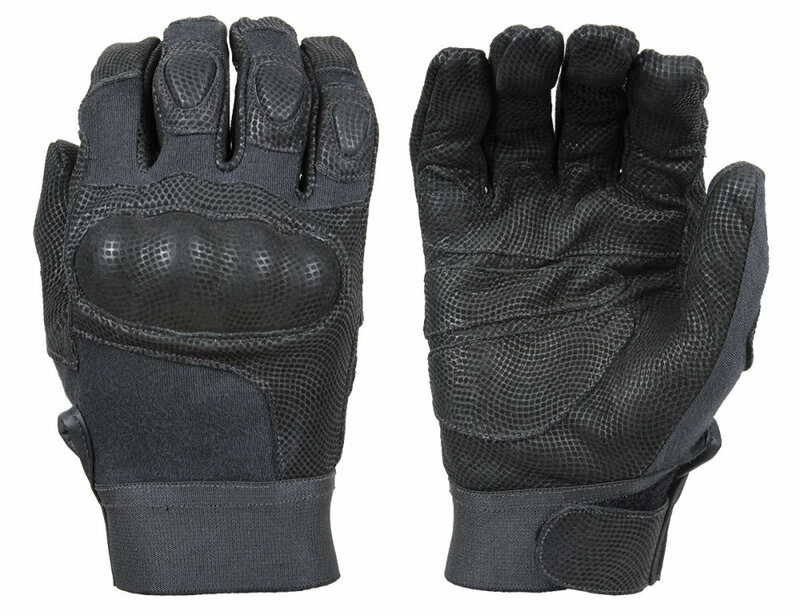 Kevlar® on back of hands is flame/flash retardant as well as cut protective.